Why Does Heat Mapping Work? Once marketers have this information at their fingertips, they are able to more effectively update, change and remove parts of the company website. By understanding what is and what is not working at a detailed level, the site can be uniquely transformed to improve all users’ experiences and increase the company’s conversion rates. 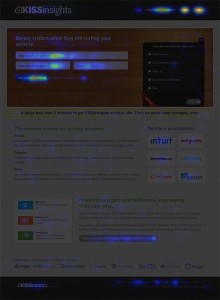 Heat mapping works, in essence, because it gives deep insight into how visitors are interacting with a website and how that experience can reach its fullest potential. Should I Use Heat Mapping? 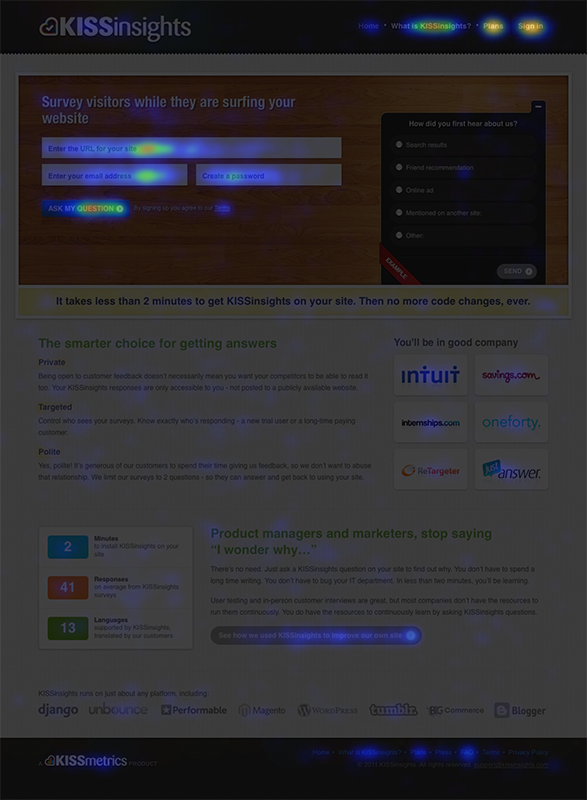 If you own or manage a company that is attempting to sell goods or services and that company has an existing website the answer to the question, “should I use heat mapping?” is a resounding yes! This technology is so beneficial because it allows company decision makers to understand what all of the hard work, time, money and energy that went into creating a site has really produced. In most cases, there are a handful of aspects of the existing site that work very well and are effective in your marketing campaign. The beauty of using heat mapping is that these things can be identified and retained while the lower performing areas are adjusted – and you don’t have to start from scratch or pay someone else to create an entirely new site for you. Of course, if the analyzation shows that barely anything at all on the site is really working the way you want it to, starting from scratch may be the wisest choice. The good news here is that you were able to find out, with the help of heat mapping, that you needed a new approach and the sooner this happens, the sooner you can start increasing sales and profit! Farotech is a web development company that specializes in inbound marketing and SEO campaigns. Heat mapping is just one of our many offered services but is quickly proving to be an extremely important and beneficial first step of our process. We use only the best technology to run these scans for your company website. Our expert marketing analysis team is able to give you advice and make the needed changes once they have a chance to thoroughly study the heat mapping reports. For more information about this amazing tool or to request services from Farotech, please contact us today!